Fresh Angeles: Merry Grinchmas To All, And To All A Goodnight! 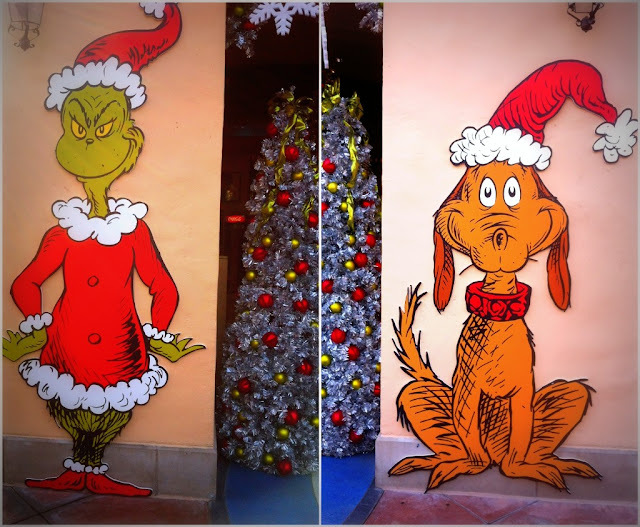 Merry Grinchmas To All, And To All A Goodnight! You'd think living in Los Angeles and working in the Entertainment Industry that I'd be jaded with all things Hollywood, but it's actually the opposite. 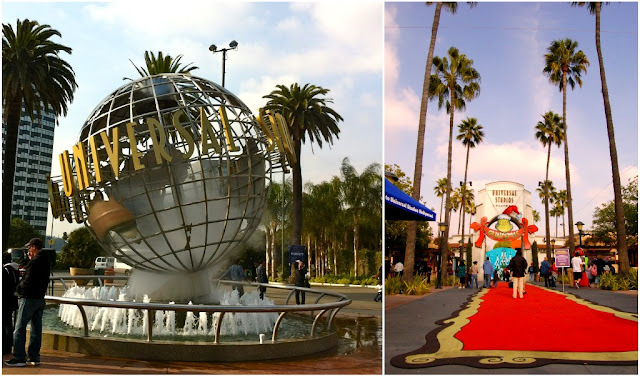 I love LA and anything that has to do with making movies, music and television - Enter in Universal Studios Hollywood Theme Park where movie making comes to life! 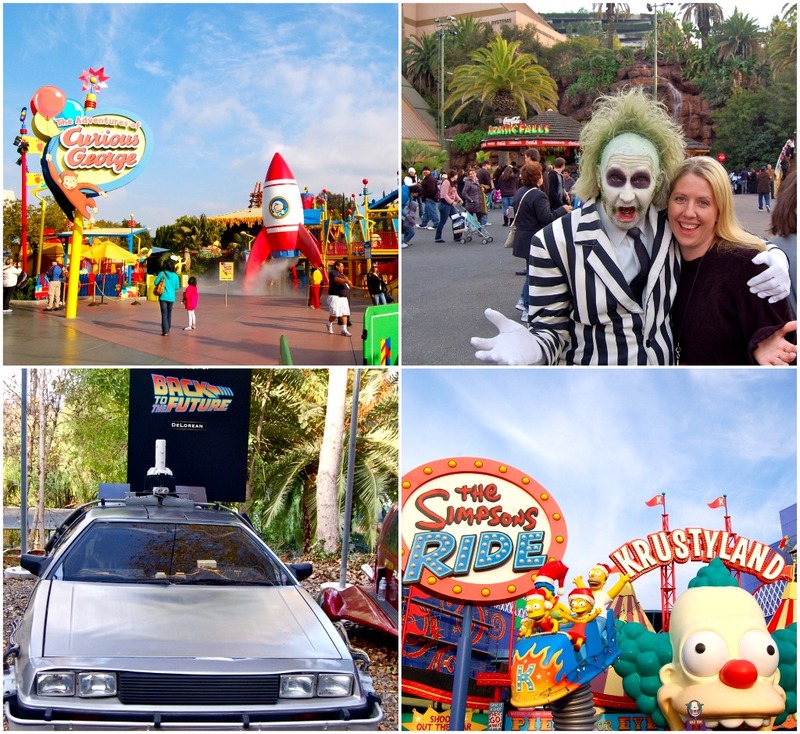 This past weekend I attended a special media preview at Universal Studios Hollywood. I was excited, because it's been over 10 years since I've been. Plus it's literally like 5 minutes away from my house which is a total bonus! 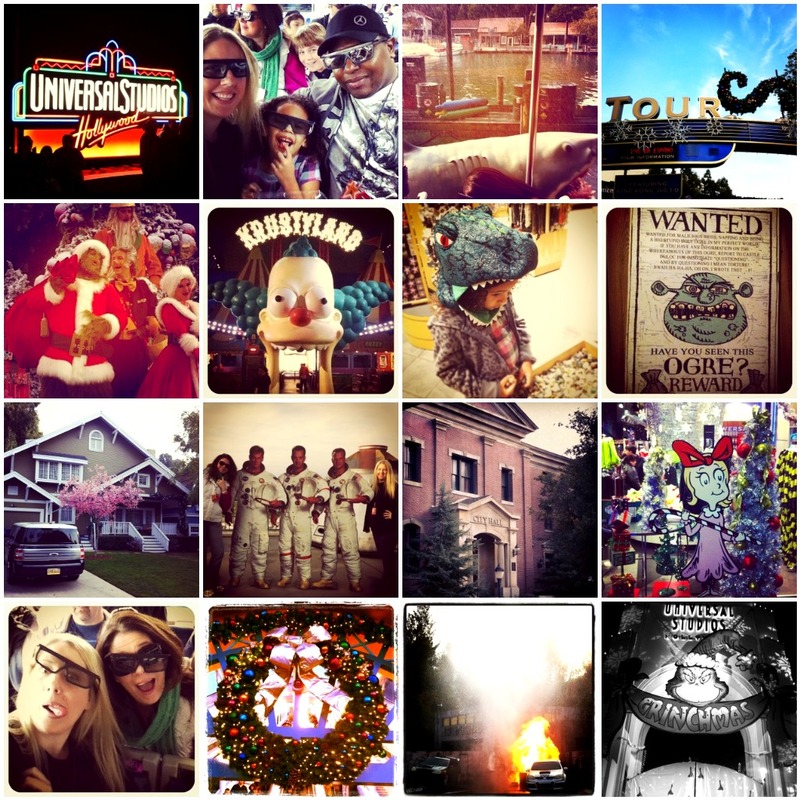 All of the other So Cal amusement parks that we frequent are much further away. 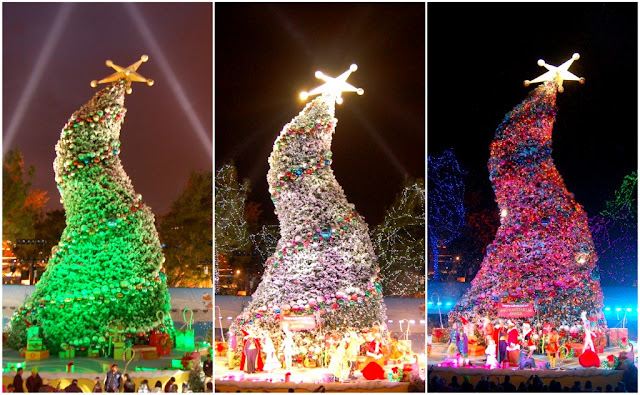 Their holiday, or should I say Who-liday Celebration opened this weekend and goes thru January 8th. It centers all around the Grinch from "How the Grinch Stole Christmas." It's more the Jim Carrey version then the Dr. Suess cartoon version, but it's great all the same. They roll out the red and green carpet just for their guests. There's a meet and greet with the Grinch and his dog Max (Cutest Dog Ever) in a designated area to play with real snow, which is quite a thrill for these Southern Californians. They also have a wide varieties of characters represented all over the park in shows like Shrek 4D and play areas like The Adventures of Curious George which is great for younger guests like my daughter. But they also have big rides for my older kids and husband like Revenge of the Mummy and Jurassic Park: The Ride. Then there's the world famous "Studio Tour" which is now hosted by Jimmy Fallon. It has all of the old classics that I remember like the flooding, Jaws and the Bates Motel. There has also been newly added features such as King Kong in 3D, Fast and the Furious Cars and a tour of Wisteria Lane on the Desperate Housewives set. Our 4 year old got scared on a few parts of the tour (I'm talking to you King Kong 360 3-D) so make sure to use your own discretion when it comes to the younger children in your group. We finished the day with a reading of "How the Grinch Stole Christmas" by overnight YouTube sensation, Greyson Chance and the Wholiday Tree Lighting Ceremony and Show. Which is take your breath away gorgeous and it snows too! 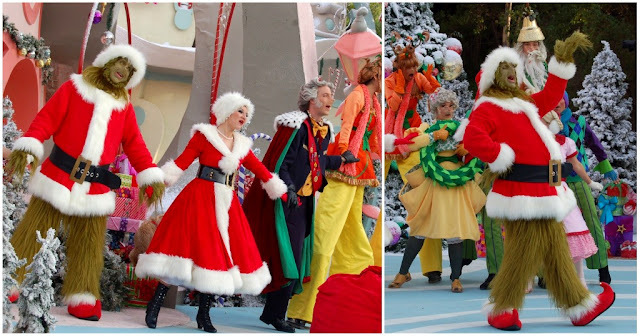 Not real snow, but the fake soap bubble snow, ah the magic of Hollywood! Full Disclosure: This is not a paid post. I was given passes from Universal Studios for me and my family to enter the park. The opinions on this blog are 100% mine and 100% fresh!